Addison Moore: Big news, bigger giveaway!!! Skyscape is a division of Amazon’s traditional publishing arm, and has an amazing team that’s dedicated to making their books succeed. I’m so excited to be working with everyone over at Skyscape including the super awesome, Tim Ditlow! *waves at Tim* I’m super thrilled to experience everything they have to offer and super excited to get started. I want to especially thank my agent Rachelle Gardner for helping me get there. She’s my ninja fairy godmother, so it’s no surprise she makes magic happen. She always seems to get me to exciting places. Thank you, Rachelle! So, what does this mean? SOMEONE TO LOVE will be released as a paperback sometime in the fall (October-ish). Book two, Ally and Morgan’s story will be released around the New Year—and the final book which reverts back to Kendall and Cruise will hit the bookshelves shortly thereafter. SO what do you think? A little photo-shopping and I can use it as the final cover for the trilogy. Right? I’m teasing. I’m totally awestruck to be in such great company. And I guess this is a great time to tell you all about my New Adult book entitled, THE FINAL ROSE, in which my protagonist Christina Harrison goes on a wild and steamy adventure while shopping for love on a reality show. Sounds cool, right? I jest. I JEST!!! I love my covers. I love their ad—great minds and all that good stuff. I’m still their number one fan. Or at least I will be once I procure some tickets to the season finale. On to the teasers and please don’t forget to enter below with rafflecopter! “So have you decided which one you’ll spend the rest of your life with?” Barron says it so banal and polite you’d think I was getting ready to order dinner off a menu—more like dessert. Gage would be liquid fudge and Logan would be one of those exotic dishes that they set on fire before they serve it to you. I shake the thought away. I can’t believe my mind just reduced a Celestra to flames, it’s so not right. Nev has the nerve to hop into our tiny hut and onto my back. “Hey, dude.” Gage gives him a gentle push off my person. “If I’m not getting any action, neither are you,” he teases. I give a soft laugh. “God, Gage.” I trace out his perfect lips, and my muscles tense up. “Everything in me wants to give you more than a little action,” I whisper. Enter below to win one of four $25.00 Amazon gift certificates or a 7” Kindle Fire HD! WOW! She looks just like the cover! And you should totally photoshop it for your next cover :). Oh congrats!! I love the covers of the pictures. I wouldnt photoshop her pick :P if anything Id think for a last book in the pretty cover series alter the color of the flowers *shrugs* thats just me. Heres to a good giveaway and making friends. Thank you for the opportunity and may you get many more deals to come! Fantastic! Congrats to you! And that is crazy with the cover thing. They must love your books too and decided to follow you. ;) Fingers crossed for the giveaway! I am so happy for all of your success! You have absolutely earned it! Congrats! Cant wait for more books!! Awesome news! So excited for more of that series! Just started Evanescent and sooooooo ready for Elysian! Curious to know who gets Skyla! I am so thrilled for you Addison! Congrats! That is great news! As for the dress, yours is way better :-) Love all your books. So excited for the Someone to Love series. 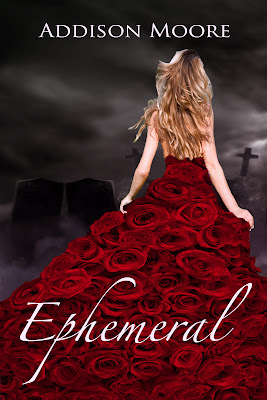 I loved that book and can't wait for more :-) As always, teasers rock! That is absolutely great news. I'm very excited for you. OMG I can't wait to see who Skyla ends up with. Hate to say it, I'm kinda bummed that they used the Laken dress before I got to use it for my wedding. Oh well, you are invited so you can see it in person. Congrats on all the wonderful things going on in your life! And we thought life in the medical field was interesting. Way to show us there is life after patients. Thank you! skyekiloh - Oh I wouldn't, but I'm sure it'll be very close to the other two. Good luck with the drawing!!! Kim Wolfenbarger - Thank you! And I hope you win a prize! Shemarhof - Edits are going great so far! I'm almost halfway done with my end and I'll send that to the editor so we can move quicker! It's all coming together! 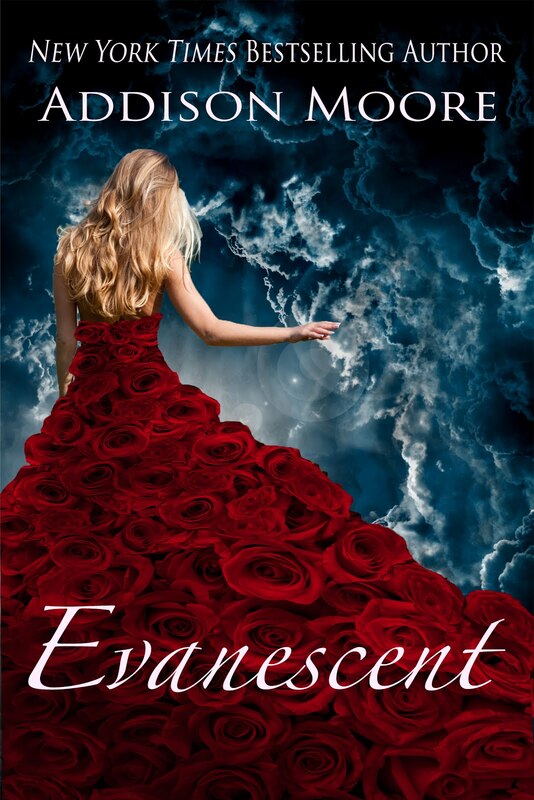 Caryn - Oh, I hope you have fun with EVANESCENT! I really hope you're enjoying the 3 POVs. I can't wait to do that again! Nancy Caudle - Nancy! That is the sweetest thing anyone has said to me. I'm so super humbled by that. Thank you. Christina Wong - lol! Yes, I totally agree, only I'm not entirely sure they saw it. skyla - lol, I'd like to think so! And as for ELYSIAN, a month-ish? MM2011 - Thank you. And I'd still like ABC to cough up a couple tickets to the show! If I had a rose dress I'd wear it. ;) For real. Rachel Davila - gah! Wear it anyway! I SO would if I could. It's your wedding-it's all you girl!!! And yes there is life after the hospital. :) Although if my unit didn't close I'd probably still be there. I used to write at night and in the wee hours of the morning. Love your books.. I discovered them by accident a month ago and have bought them all in this past month lol. Thank you Amazon for recommending! I can't wait to find out how it all ends. By now with most authors you can guess the ending and who the girl ends up with. Its usually the same happy ending...but with you..I am kept guessing. I love it. 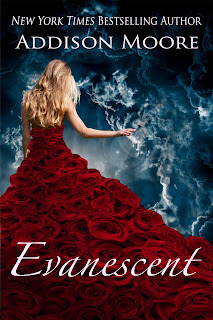 Btw...I am dying to finally find out why the Countenance hate Celestra so much and why Laken was taken. Also why Chloe hates Skyla so much. I love Gage, Logan, and Wes but I am rooting for Coop and Marshall. OMG congrats on your news!!! Many more great things are coming your way which in turn helps many of your great things come our way so no complaints here!!!!! Crazy cover! who knows... u know imitation is the greatest form of flattery and all that ha..... well I am ready to read whatever u publish! haven't skipped a book yet!!!! Lots of love for all your work! have a great week! O and Laken's dress is otherworldly so its tough to beat!! woot woot! cheering you on. Congrats Addison! So excited for you!!!!! 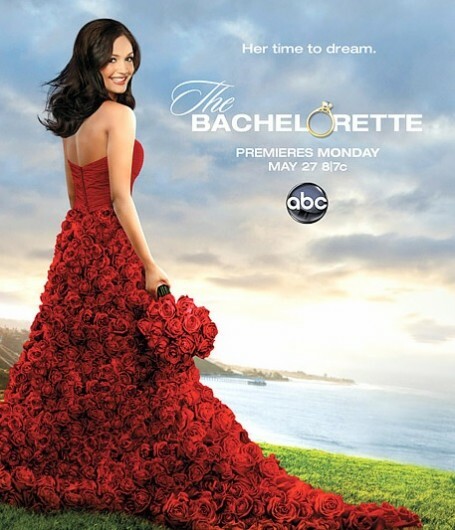 Congrats, I really love the cover, and I think your cover dress is prettier than the bachelorettes dress, lol. Congratulations again! I love how you write even when you give this news is so happy and contagious that makes me smile, I'm happy for you Addison keep going like that! you are an amazing writer and I have read all your books :) and your covers are gorgeous. Hope to meet you one day, big fan here. I would love you could publish in Spanish because I'very told my friends of your books but most don't read in English. I'm from Colombia :P. and I want to share that with them, hope is possible in the future! I can't take the teasers anymore! I'm dying here!!!! CRAZY4BOOKS2522 - Thank you! I'm still so excited abut the book deal. I'm glad I finally get to share it with you guys! And, lol about Laken's dress. I really was feeling like I was in great company when I saw it in the ad. Shelli (srjohannes) - Thanx Shelli!!! I heart you! Laura Pauling - Thank you, Laura! You're such a great friend. I'm so glad to know you! Jessie De Schepper - Thanx girl! I'm thrilled to share the news! Charlene Martin - Thanx, Charlene! And I'm excited for your writing journey as well! Ariadne - That's so sweet of you to say! (hugs for that). I really am excited! And as for publishing in spanish, we're working on some great foreign deals right now! I'm hoping to make those announcements soon as well! Hi Addison! I'm a little confused regarding the competition- how do we enter? And, is it only for people in the US? LOVE YOUR BOOKS AND THE CHARACTERS! Congrats on the publishing contract, Addison!! :) Sush an inspiration. Will you (or allowed to?) disclose the terms of your contract, or how much they aquired the three-book contract for? If not, no worries. Mostly interested to see where the market is heading in terms of publishers picking up self-published titles. Niyla M :-) - Hi Niyla! The contest is run through rafflecopter. Simply put in your email in the box in the post above. That's it! Good luck to you! I can not wait for the book...I need to know who she picks..Im all for Gage..I have read all your books and Love them all. Congrats on all your new and upcoming events. I will follow them all...Any hints when it will be released? ?